The Association offers help, guidance and information, not only in English, but Spanish, Italian and French speakers are also available. There are nearly 4,000 properties on Camposol with a full-time resident population of around 5,000 people, comprising nearly 80 nationalities, although the majority of homeowners are British. This number almost doubles during the holiday season, with the lure of unspoiled local beaches, beautiful countryside and cultural attractions. 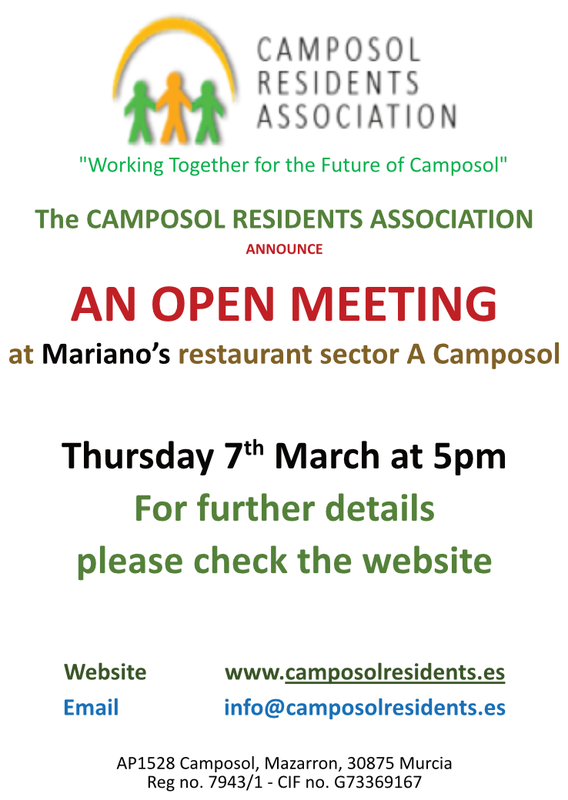 The association started as an ad hoc group and in 2006 registered as the Camposol Residents Association. The organisation has grown over the years with many volunteers over that time offering their assistance as Committee members, helpers and generally manning the pumps with the aim of improving the urbanisation and the overall environment. The Association was originally intended as an organised body along the lines of a Social Club offering a contact point for advice and guidance to members and on a general basis to non-members. In the early days it was recognised that there were problems with the developer of the urbanisation and Local Council. In the absence of any other organisation, the CRA took on the mantel of representing the resident’s and homeowner’s interests in talks with both the developer and Mazarrón Town Hall. This continued with varying amounts of success until 2011, when the Council dismissed the developer. 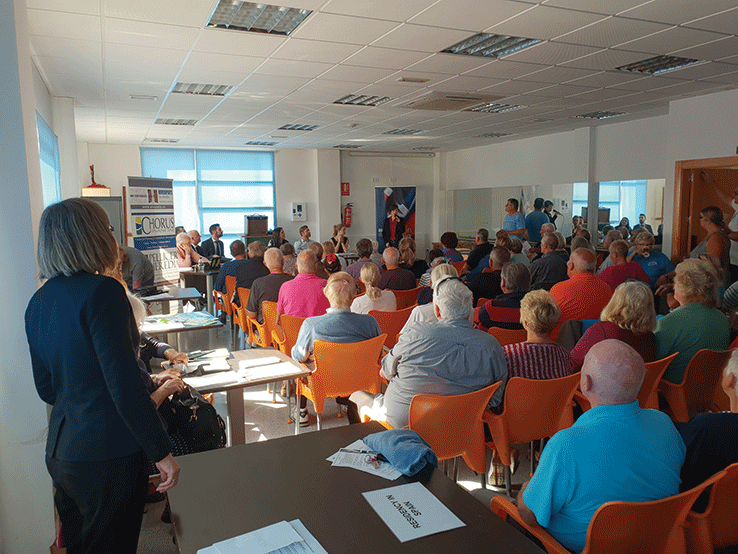 Mazarrón Town Hall then became the focus of the CRA’s attention. 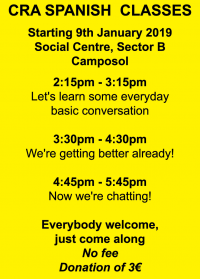 Unfortunately with the Town Hall’s changing regimes and differing interpretations of the situation, little progress was made, resulting in the decision by the CRA in 2015 to escalate Camposol’s affairs to the Murcia Regional Assembly (Regional Parliament). After visits to Camposol from numerous Regional Parliamentarians, a dedicated Regional Assembly Commission was set up to investigate the process that had led to the situation existing on the urbanisation. After over 2 years studying documentation, collecting information and holding hearings for those officials involved, a report was compiled including recommendations to correct the circumstances the urbanisation found itself in. This was presented as a paper to the Regional Assembly Full Session on 22nd March 2018 and approved unanimously. Work is currently ongoing with the various authorities to put those recommendations into practice. The Committee currently has members who are not only English speakers, but also Spanish, Italian and French. 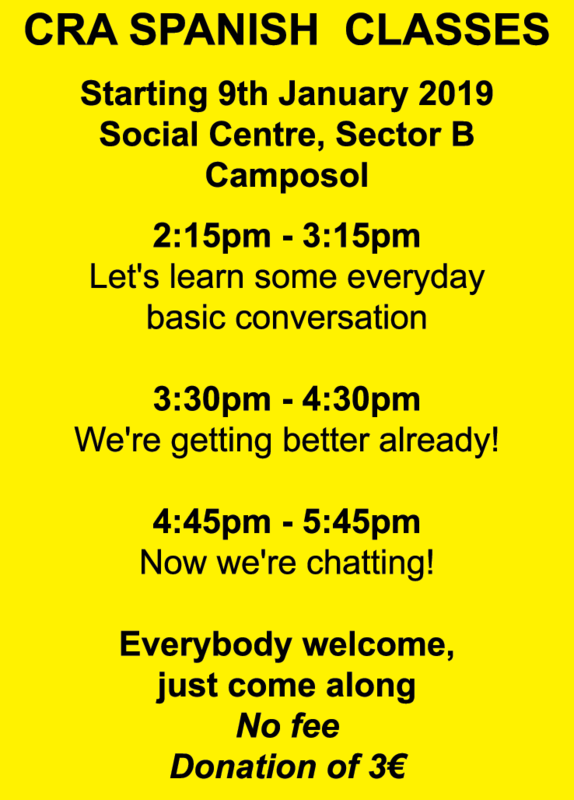 The CRA also arranges occasional social events and offers graded Spanish lessons on a voluntary donation basis. 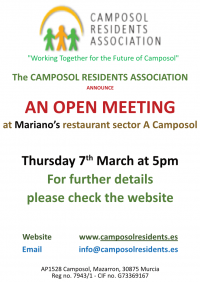 The Camposol Residents Association will continue to strive for the lifestyle and environment its members anticipated when making the decision to make Camposol their home or holiday destination. Please support us to support you by joining the Association, using the ‘Join us’ page. We are also very pleased to report that our first day of bilingual help at the Town Hall, was a great success. Our support person displayed a big badge with CRA written on it and at least 15 couples and one gentleman took advantage of our assistance and came along to be registered on the Padron, and to register their intention to vote.